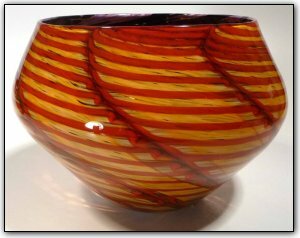 This absolutely stunning bowl is a true work of art. It features red and gold topaz on the outside and purple, red, and gold topaz on the inside. The inside also features an amazing swirl coming together in the center, making this a truly unique one-of-a-kind bowl!